Here’s a roundup of the Festival of Lights celebrations by Indian American communities throughout Florida. More than 800 people in the auditorium were swept to their feet in a standing ovation at the conclusion of a spectacular performance of “Chitram – A Portrait of India” at the India Cultural Center Nov 14. The performance was presented by the Hindu Temple of Tampa as a fundraiser for the upcoming Vidyalaya and prasada sadan. Indeed, the first rehearsal began in May with the identification of about 30 singers who would sing in choir; the choir constituted the backbone of the production. This is the fourth community in the United States where visionary composer Kanniks Kannikeswaran has built a community choir. “Every trip was worth it,” says Kannikeswaran, whose productions build community around music through a celebration of threads of commonality across cultures. Paramjit Singh and his wife, Binder, both committed singers in the choir were moved by the music and content of the production, particularly the narrative which told the story of Indian culture, stressing the aspects of pluralism and inclusiveness. “Nov. 14 was one of the best moments in my life,” said Ketaki Swain, one of the choir singers. Chitram featured about 35 singers and nearly 65 dancers and yoga performers from the Tampa community. A team of dancers from USF who participated in Chitram were euphoric. “Eight hundred plus people in the audience watching the program with undivided attention took the performance to new heights,” said Mekhala Sastri, a senior at USF. “The community took ownership of the project in a big way. This is the fourth city in which Chitram is staged. I am grateful for the opportunity to work with the Tampa Bay community and to stage Chitram here,” said Kannikeswaran, who is working on bringing his magnum opus “Shanti – A Journey of Peace,” to life in Houston with a group of 90 singers from the Indian community in partnership with the United Nations choir. His work “Vismaya – An Indo Celtic Musical Journey,” that explores connections between colonial music and classical composers is beginning to make an impact in Indian music circles. The Heart Institute at Regional Medical Center Bayonet Point celebrated its 20th anniversary with an open house to the public on Nov. 6. Rao Musunuru, M.D., predicted at the ribbon-cutting ceremony 20 years ago that within 10 years, the Heart Institute will become top in the nation. It was indeed recognized, nine years after it opened, as one of the top 50 hospitals in the nation for cardiology and heart surgery by U.S. News and World Report. Since then, many national awards, accolades, and accreditations followed. Dr. Musunuru, a 2005 American Heart Association’s National Physician of the Year, promised the public on Nov. 6, bigger and better things to come in the next decade, to benefit the residents of Pasco, Hernando and neighboring counties. 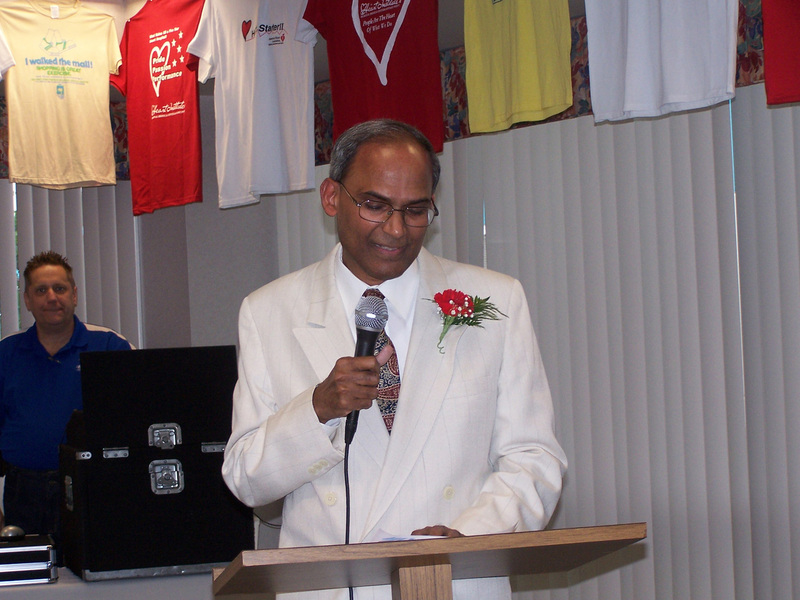 Dr. Rao Musunuru addressing the public at the 20th anniversary celebration of the Heart Institute on Nov. 6. 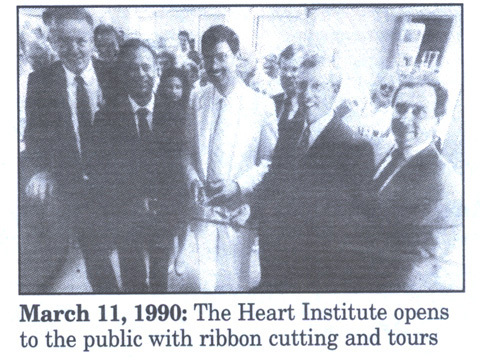 Dr. Rao Musunuru cutting the ribbon at the opening of the Heart Institute 20 years ago. Tampa Bay is gearing up for its first annual India International Film Festival Jan. 22-24 at Channelside Cinemas. The three-day festival will open with a main feature presentation and opening night gala at 7 p.m. on Friday, followed by a variety of feature films, short films and documentaries from different genres. The organizing team is led by the INDO-US Chamber of Commerce. Highlights will include opening and closing night galas with parties and receptions following Q&A sessions with the filmmakers, performances by local and guest artists and much more. Anyone visiting the Channelside District during the festival days will get to experience the Indian culture in different ways. The festival is expected to feature several upcoming Indian filmmakers from around the country and internationally. A special session with music videos by up and coming musicians of Indian origin is being planned. For those interested to learn more about the film industry and the movie business, a panel of experts will present the different aspects of filmmaking business and will provide an opportunity for filmmakers and those interested in getting involved to network. Clearwater-based Homeowners Choice Insurance is the event sponsor this year. The three-day festival is expected to screen about 24 films, including feature films, documentaries and short films. Films from different parts of India will be presented. Limited sponsorship opportunities are available. For more information about the festival or to join the volunteer team, visit www.IIFFTampa.com or call (813) 719-0303. Between 10,000 to 11,000 people from across Florida attended the 22nd annual India Festival held Nov. 7 in Tampa. The event, which included several categories of dance competition, 80 vendor booths selling clothing, jewelry, arts and crafts, etc., was organized by the Gujarati Samaj of Tampa Bay. Indo-US Chamber of Tampa Bay returned to its annual Community Outreach tradition by stretching out a helping hand with member-sponsored dinner certificates to 100 migrant worker families living in the Dover area of Hillsborough County, enabling them to purchase a Thanksgiving Day Meal from the nearby IGA Economizer Store. This year, the chamber also provided blankets, toys and goodie bags for the families. On Nov. 19, a team of INDO-US members and their families arrived at Dover Elementary armed with, in addition to the IGA Economizer Dinner Certificates, loads of goody bags put together by Kalavatiben Patel and her family, containing an assortment of candy and cookies, boxes of toys donated by Anita Shembekar and more than 140 blankets. The event was kicked off with INDOUS President Francis Vayalumkal addressing the gathering, much to their surprise, in fluent Spanish. After a mini-feast of chips, cookies and fruit beverages, INDO-US team members graciously handed out the dinner Certificates to each attending family and the goody bags to each child. Kavita Marballi, who was instrumental in organizing this drive, thanked the school’s principal Marie Caracciola and social worker Evelyn Fearon for assisting her to identify the students and families who needed help. It is time for the Tampa Bay community to have a forum where voices can be expressed, respected and heard. This column will provide just such a corner. In time, I hope there will be enough interest generated when you, the reader, will begin to request certain topics of discussion.